Yesterday I dragged my husband to a warehouse sale and demonstration at Lorna’s Laces in the city. Actually, I did not have to pull too hard. He is keenly interested in sheep, wool, and the processes involved since our visit to the Wisconsin Sheep and Wool Festival a few weeks ago. Talk is of a future sheep farm (mostly fun speculation), but first we have to make sure that he does not kill the worms again, and Chickens are coming to the back yard next spring. Mr & Mrs. Lorna’s Laces (not real names), were both extremely nice. Their studio is located in the Ravenswood neighborhood in Chicago, in a great warehouse building full of woodworkers, candle makers, artists and small businesses. 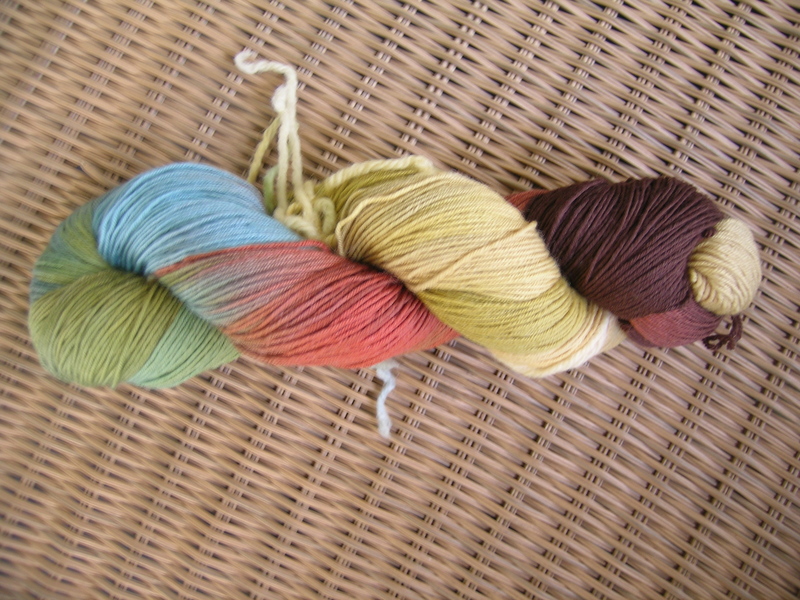 After shopping, we got a great demo in custom dying, and a lot of questions answered. While it is quite messy, it does not seem to be all that complicated. Some day I will try it, I think by first taking a class. 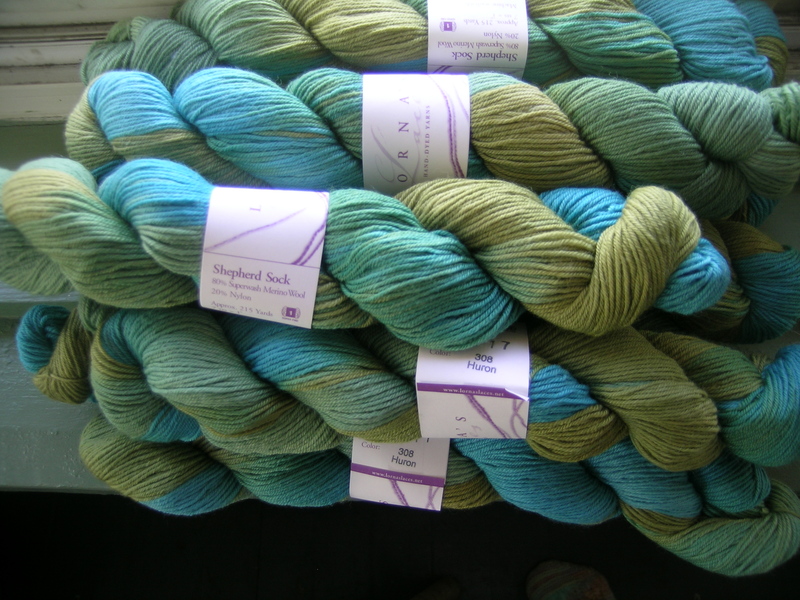 And finally, this sock yarn (you had to buy the full bag) for a Faroese shawl for myself. I think that it will knit up beautifully. 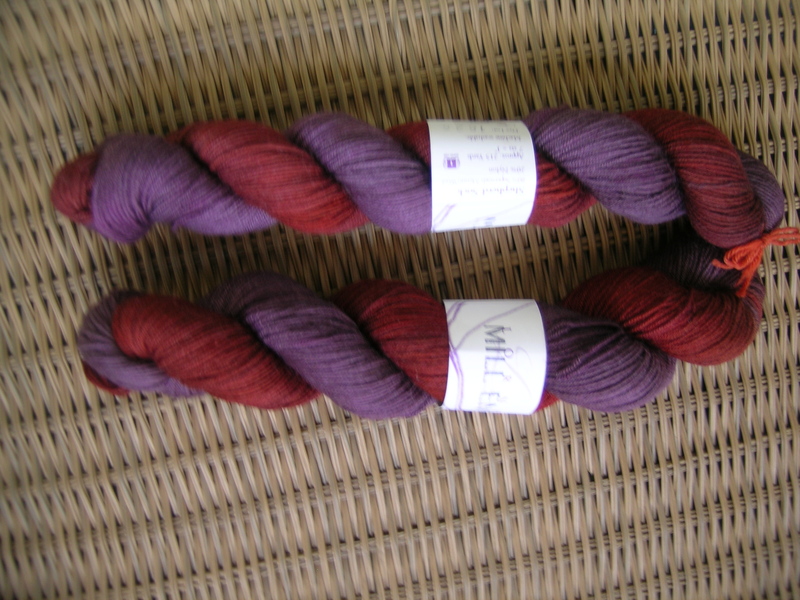 Love the yarn for the shawl! Can’t wait for pictures of that! I need a shopping trip to Chicago….feel like sharing more info on Mr and Mrs. Lorna’s Lace? The mitten & shawl yarn are pretty can’t wait ti see then done. 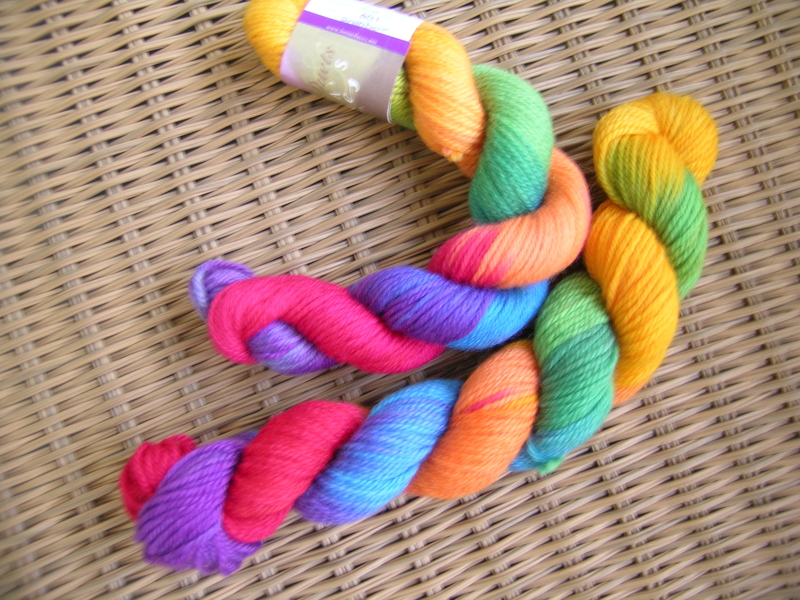 I have never used Lorna’s Laces yarn hope this yarn isn’t splity for you.